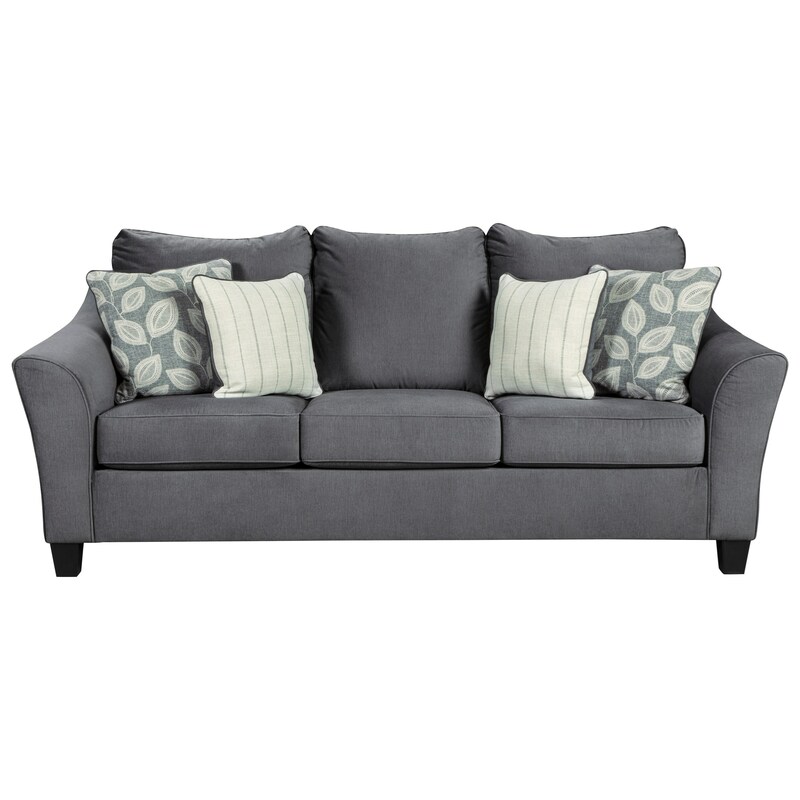 With flared track arms and a contemporary casual design, this sofa is a perfect way to freshen up your living room. Four accent toss pillows complete this piece for an extra touch of comfort and style. The Sanzero Sofa with Flare Track Arms by Signature Design by Ashley at Miskelly Furniture in the Jackson, Pearl, Madison, Ridgeland, Flowood Mississippi area. Product availability may vary. Contact us for the most current availability on this product. This collection features a harmonious blend of causal and contemporary style. This mix makes these upholstered pieces perfect for both entertaining friends and hanging out with family. The Sanzero collection is a great option if you are looking for Contemporary Casual furniture in the Jackson, Pearl, Madison, Ridgeland, Flowood Mississippi area. Browse other items in the Sanzero collection from Miskelly Furniture in the Jackson, Pearl, Madison, Ridgeland, Flowood Mississippi area.